Please feel free to browse through this site to explore the Maricopa counties cites of Cave Creek, Carefree, Scottsdale , North Scottsdale , Anthem, Tramonto, Desert Hills, New River , Phoenix , Chandler , Surprise, Buckeye, Avondale, and other near by communities. You can search all listings in Maricopa and in entire Phoenix and Scottsdale area. This has the most up to date database on the Internet for the entire Scottsdale, Cave Creek, Carefree, and Phoenix area. And it is updated daily! 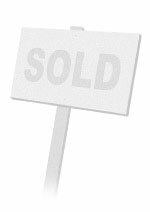 This comprehensive online tool offers direct access to the latest properties for sale in your area. Featuring extensive community information, consumer links, school information, free reports, answers to commonly asked real estate questions, and more, you’ll find everything about real estate within one easy source. 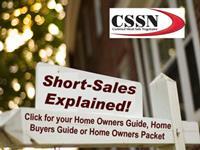 If you need short sale information, please click on this link for the most comprehensive short sale information on the Internet. Thanks for visiting this online real estate resource brought to you by Gary Drew (623-512-0828). Gary Drew is the Sales Manager and Realtor of Daisy Dream Homes representing sellers and buyers looking for houses, condos and real estate in the greater Phoenix area, Scottsdale , Cave Creek and Carefree. This web site will provide you with everything you need to buy or sell a home or other real estate in the cities and communities such as Paradise Valley, Troon, Desert Mountain, DC Ranch, Silverleaf, Verrado and Greyhawk, It has MLS listings on homes in all those areas plus Cave Creek, Carefree, Scottsdale, Phoenix, Glendale, Peoria, Chandler, Surprise, and Anthem. The cities and towns Gary Drew acts as a seller or buyer broker for all residential real estate, and provides information and research on homes, houses and condominiums, in and around Scottsdale, all of Maricopa County. Through our web site you can receive information and property research plus free e-mails of all MLS listings on houses and condos and other property, residential and commercial, in any or all of these cities, towns and communities. .